Make sure you are logged in as a customer and your billing & shipping information is current. 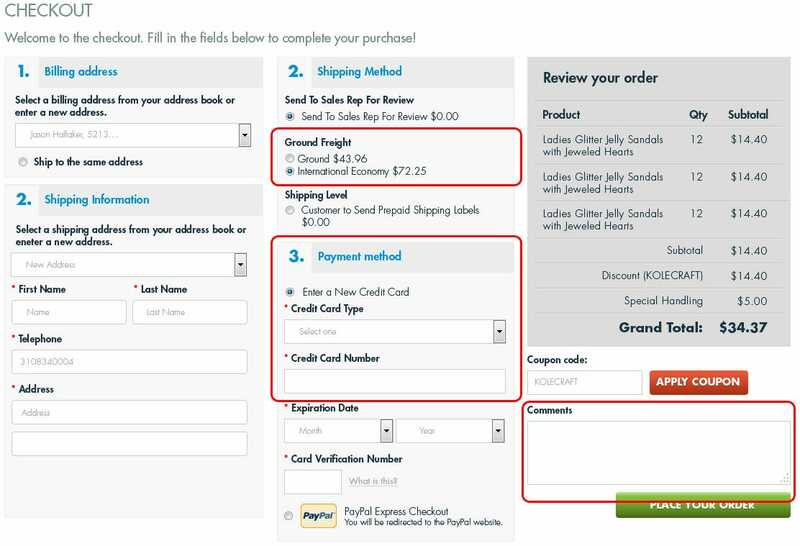 Use the comments box to let us know anything we need to know about processing your order. Enter your payment method and all information requested. Review your order, if all looks good select Place Your Order.